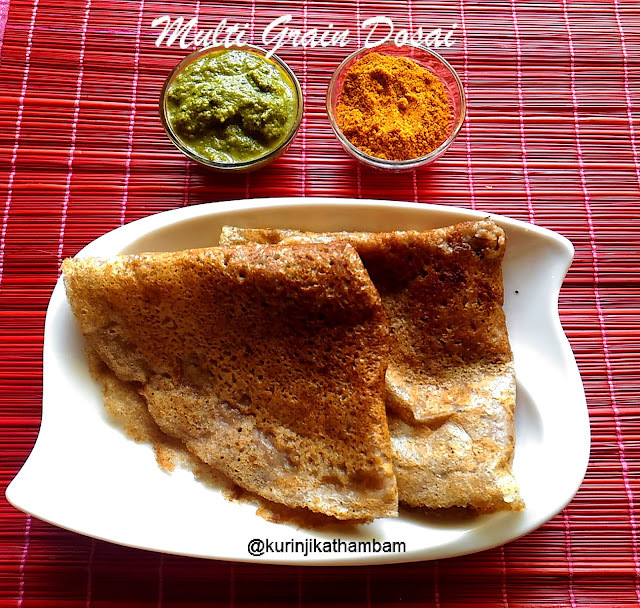 For those who want to begin having millets in their diet, millet flour dosa is the best first step because the ingredients (millet flours) are readily available off the shelf in the retail shops also no one will know that it is millets. This is important because you can easily overcome any hesitation in people to take millet foods. Preparation Time: 5 mins | Cooking Time: 5 mins | Yields: 8 nos. 1. Add all the flours, rava and salt in a bowl. 2. Mix them well with wire whisk. Then add the water and mix them well with wire whisk again. Keep it aside for 5 – 10 mins. 3. After 10 mins, multi grain dosa batter is ready to make dosai. 4. 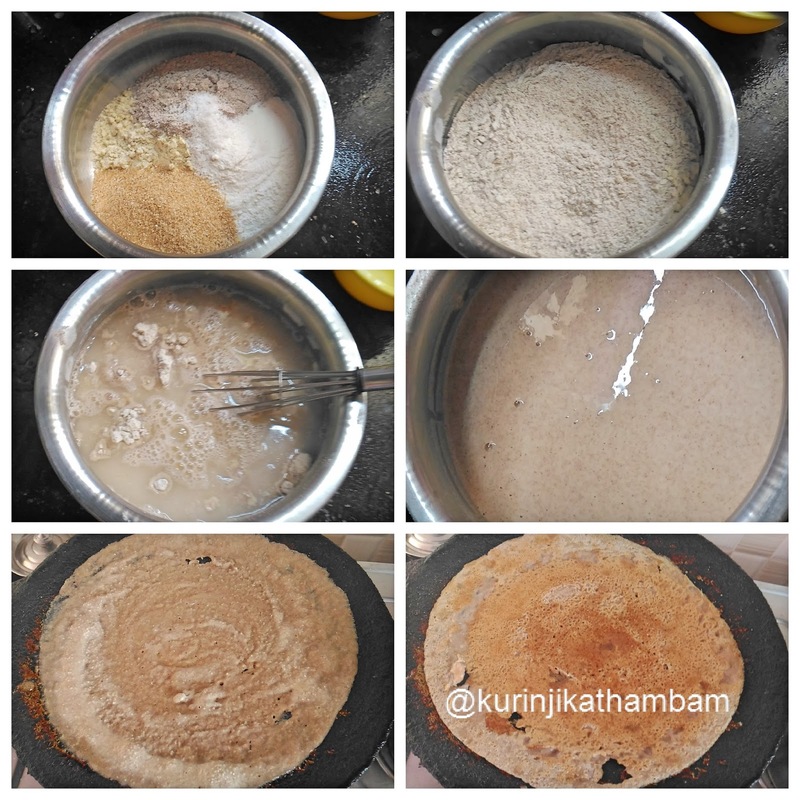 Heat the dosa tawa, pour ladle full of batter at the center of the tawa and make thin circle using the backside of the ladle. 5. Pour the oil over the dosa and cook until it turns into golden color. 6. Then turn over the dosa and cook till golden on both sides. Crispy and healthy dosa is ready to serve. Serve it with Onion-Mint Chutney. 1. 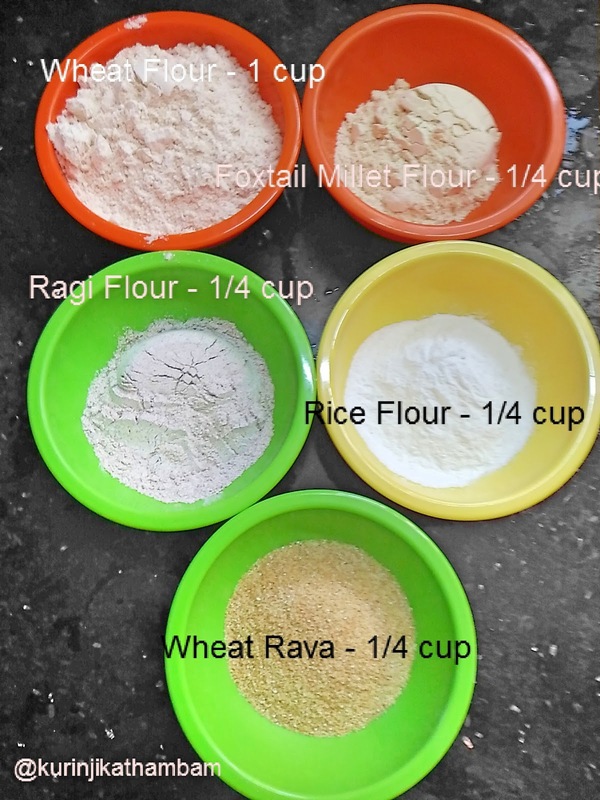 You can add other millet flour also instead of ragi or foxtail millet flour.